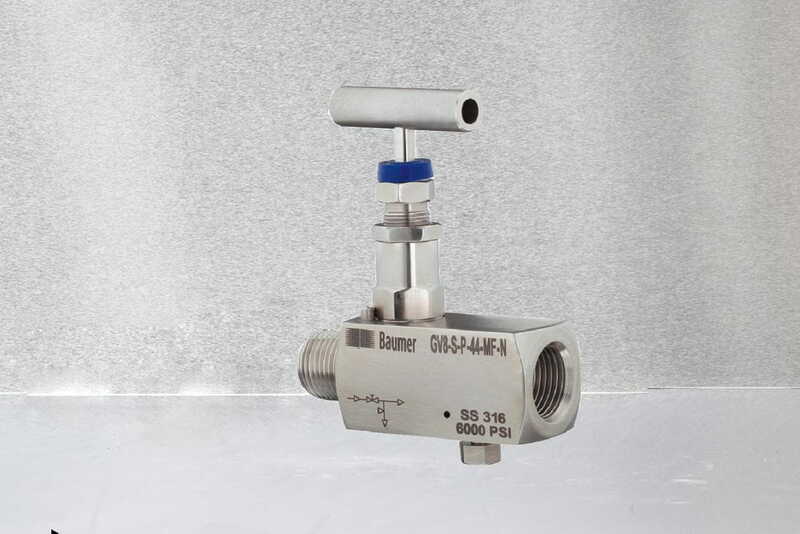 This gauge valve is a block and bleed needle pattern gauge valve with specially designed integral bleed of M8. Ideal for use on applications requiring bleeding or venting of media. Self centering needle non-rotating, on the valve seat. The conical metal tip (stem type CT) press fitted ensures perfect alignment for positive bubble tight shut-off. Standard end connection is male inlet and female outlet ½"BSP.